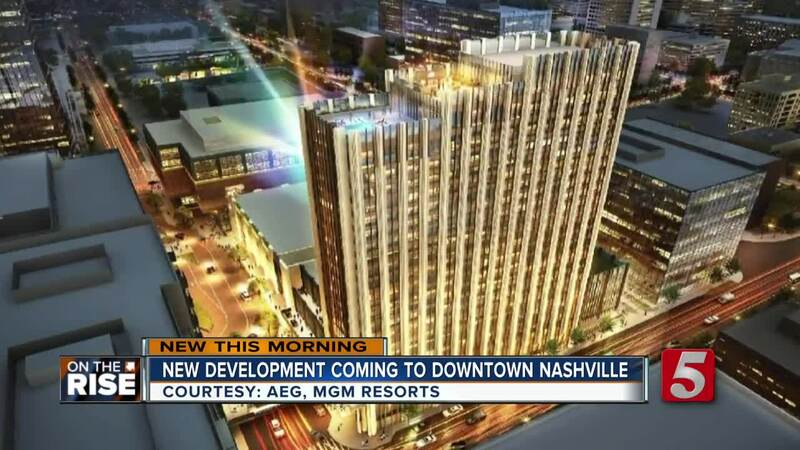 MGM Resorts has released new details on their big construction plans as part of the Nashville Yards project. NASHVILLE, Tenn. (WTVF) — MGM Resorts has released new details on their big construction plans as part of the Nashville Yards project. The massive, 1.5 million square foot development spans almost four acres of the Nashville Yards, which is located at 9th Avenue and Church Street. They plan to build a 21-story hotel that will include 315 rooms, a parking garage and food and retail space. On top of that, they'll be building another five-story mixed-use building featuring restaurants, bars, a bowling alley, a movie theater and creative office spaces. Of course, it wouldn't be a Music City project if it didn't include a music venue – this one holding up to 4,000 people. The Nashville Yards will also be home to the new Amazon Center.